Chris was born in New York City and grew up in the contrasting worlds of the Philippines and Pittsburgh. 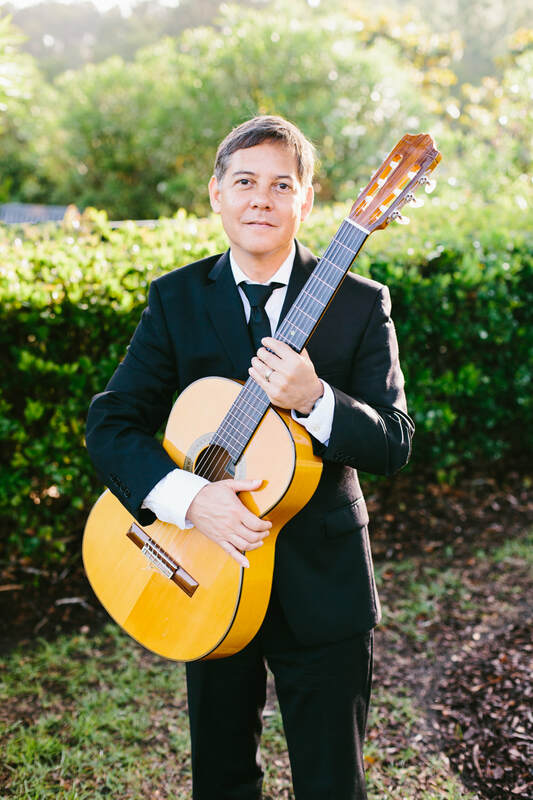 As a wedding and distinguished event musician, he has performed extensively throughout the greater Charleston area including the five star Sanctuary Hotel, historic churches and plantations, beaches, and venues in Columbia, Myrtle Beach, Hilton Head, Beaufort and Savannah. Enjoying collaborations with some of the most dynamic and exciting musicians, Chris performs with North Charleston Pops! Founder and flutist Tacy Edwards, Celtic fiddler Mary Taylor, cellist Andrew Mille, and jazz vocalist Lis Adams. As a soloist and recitalist he has performed at the Dame Myra Hess Series in Chicago, the Bruno Walter Library series in New York, the Washington D.C. Classical guitar society, and with orchestras in the Czech Republic, Ohio, Virginia, and South Carolina. Chris has studied at the University of South Carolina (Go Gamecocks! ), Cincinnati College Conservatory, and the Eastman School of Music. Currently he teaches on the faculty of Charleston Southern University and privately at Clelia’s Guitar Studio. He is featured on three CD’s, Guitar America (solo guitar), the Water is Wide (with flutist Tacy Edwards, available on iTunes and cdbaby) and Hauntings (with the Moravian Philharmonic, also on iTunes.) His many published arrangements are available from Sheet Music Plus. In addition to playing the guitar he enjoys running, carries on a love affair with his mandolin, and plays ukulele and bass.